B W 46mm Clear MRC 007M Filter. The B W Clear MRC 007M Filter is a simple, clear filter with a 1x filter factor and is designed to provide general protection for your lens. To prevent internal ghosting and reflections while providing over 99.8% light transmission, each glass surface includes eight layers of anti-reflection coating. 52mm thread fit. Classic B W filter. Filter only. Has a couple of small, light thin blemishes, but they are not that noticeable and shouldn't effect the performance. Optics are clean and free from any deep marks or major scratches. B W 58mm Clear MRC 007M Filter. B W 58mm Clear MRC 007M Filter is a lightweight, durable, simple, clear filter with a 1x filter factor that is designed to provide general protection for your lens. B W filters are constructed from Schott glass for increased optical clarity and color fidelity. B W 46mm Clear MRC 007M Filter. B W 46mm Clear MRC 007M Filter is a lightweight, durable, simple, clear filter with a 1x filter factor that is designed to provide general protection for your lens. B W filters are constructed from Schott glass for increased optical clarity and color fidelity. B W 62mm MRC F-Pro 007M Clear Filter. B W 62mm Clear MRC 007M Filter is a lightweight, durable, simple, clear filter with a 1x filter factor that is designed to provide general protection for your lens. 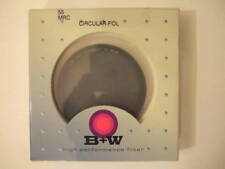 B W 39mm Clear MRC 007M Filter. MRC Multi-Resistant Coating. 39mm Front Filter Threads. Clear Protective Filter. Thin Brass Filter Ring. Filter Type: Clear. 1x Filter Factor, No Exposure Change. Filter Factor: 1 ( 0 Stop). MRC Multi-Resistant Coating. B W 67mm XS-Pro Clear MRC-Nano 007 Filter. 67mm Front Filter Threads. Circular Size: 67mm. Front Accessory Thread / Bayonet: 67mm. Clear Protective Filter. Thin Brass Filter Ring. B W 52mm MRC F-Pro 007M Clear Filter. 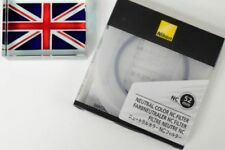 B W 52mm Clear MRC 007M Filter is a lightweight, durable, simple, clear filter with a 1x filter factor that is designed to provide general protection for your lens. B W 49mm XS-Pro Digital Clear MRC Nano Filter (007M). The nanotechnology based characteristic (lotus effect) produces a better beading effect with water making the cleaning of this filter even simpler and faster than ever before. Mm XS-Pro Digital Clear MRC Nano Filter (007M). The nanotechnology based characteristic (lotus effect) produces a better beading effect with water making the cleaning of this filter even simpler and faster than ever before. MRC Multi-Resistant Coating. B W 43mm XS-Pro Clear MRC-Nano 007 Filter. B W 43mm XS-Pro Clear MRC-Nano 007 Filter. 43mm Front Filter Threads. Nano Coating. Clear Protective Filter. 1x Filter Factor, No Exposure Change. MRC Multi-Resistant Coating. B W 62mm XS-Pro Clear MRC-Nano 007 Filter. 62mm Front Filter Threads. Circular Size: 62mm. Front Accessory Thread / Bayonet: 62mm. Clear Protective Filter. Thin Brass Filter Ring. B W 62mm XS-Pro Digital Clear MRC Nano Filter (007M). The nanotechnology based characteristic (lotus effect) produces a better beading effect with water making the cleaning of this filter even simpler and faster than ever before. Each glass surface includes multiple layers of anti-reflection coating that prevent internal ghosting and reflections while providing over 99.8% light transmission. MRC Multi-Resistant Coating. B W 46mm XS-Pro Clear MRC-Nano 007 Filter. B W 72mm MRC F-Pro 007M Clear Filter. B W 72mm Clear MRC 007M Filter is a lightweight, durable, simple, clear filter with a 1x filter factor that is designed to provide general protection for your lens. B W 37mm XS-Pro Digital Clear MRC Nano Filter (007M). The nanotechnology based characteristic (lotus effect) produces a better beading effect with water making the cleaning of this filter even simpler and faster than ever before. 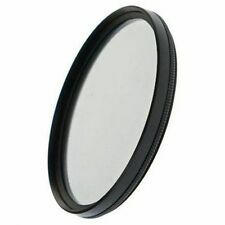 B W 40.5mm MRC Clear Protection Filter 007M Multi Coated. MRC (Multi-Resistant Coating) by B W is not only an extraordinarily effective multiple layer coating, it is also harder than glass, so that it protects filters from scratches (for instance when cleaning the filters), and it is also water and dirt repellent, thus facilitating filter maintenance. B W 67mm MRC F-Pro 007M Clear Filter. 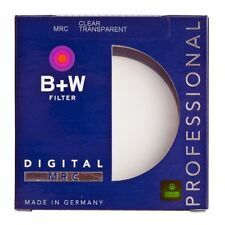 B W 67mm Clear MRC 007M Filter is a lightweight, durable, simple, clear filter with a 1x filter factor that is designed to provide general protection for your lens. B W 86mm Clear MRC F-PRO 007M Filter. The B W Clear MRC 007M Filter is a simple, clear filter with a 1x filter factor and is designed to provide general protection for your lens. To prevent internal ghosting and reflections while providing over 99.8% light transmission, each glass surface includes eight layers of anti-reflection coating. MRC (Multi-Resistant Coating) by B W is not only an extraordinarily effective multiple layer coating, it is also harder than glass, so that it protects filters from scratches (for instance when cleaning the filters), and it is also water and dirt repellent, thus facilitating filter maintenance. MRC Multi-Resistant Coating. B W 52mm XS-Pro Clear MRC-Nano 007 Filter. 52mm Front Filter Threads. Circular Size: 52mm. Front Accessory Thread / Bayonet: 52mm. Clear Protective Filter. Thin Brass Filter Ring. MRC Multi-Resistant Coating. B W 72mm XS-Pro Clear MRC-Nano 007 Filter. 72mm Front Filter Threads. Circular Size: 72mm. Front Accessory Thread / Bayonet: 72mm. Clear Protective Filter. Thin Brass Filter Ring. MRC Multi-Resistant Coating. B W 39mm XS-Pro Clear MRC-Nano 007 Filter. B W 39mm XS-Pro Clear MRC-Nano 007 Filter. 39mm Front Filter Threads. Nano Coating. Clear Protective Filter. 1x Filter Factor, No Exposure Change. B W 37mm Clear MRC 007M Filter. It is a simple, clear filter having a 1x filter factor. This clear filter does not affect the overall image quality. The surface of Schott glasses includes eight layer of anti reflection coatings to prevent internal ghosting and reflections while providing 99.8% transmission of light. B W 77mm MRC F-Pro 007M Clear Filter. B W 77mm Clear MRC 007M Filter is a lightweight, durable, simple, clear filter with a 1x filter factor that is designed to provide general protection for your lens. B W 82mm MRC F-Pro 007M Clear Filter. 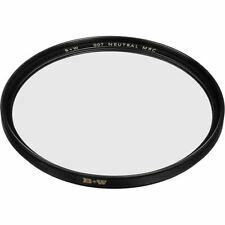 B W 82mm MRC F-Pro 007M Clear Filter B W 82mm MRC F-Pro 007M Clear Filter. Features 1x filter factor and is designed to provide general protection for your lens. The B W 35.5mm XS-Pro Clear MRC-Nano 007 Filter is a simple, clear filter with a 1x filter factor and is designed to provide general protection for your lens. To prevent internal ghosting and reflections while providing over 99.8% light transmission, each glass surface includes multiple layers of anti-reflection coating. B+W 43ES KR 1.5 Filter and Case. B W 105mm MRC F-Pro 007M Clear Filter. B W 105mm Clear MRC 007M Filter is a lightweight, durable, simple, clear filter with a 1x filter factor that is designed to provide general protection for your lens. B W 30.5mm XS-Pro Clear MRC-Nano 007 Filter. 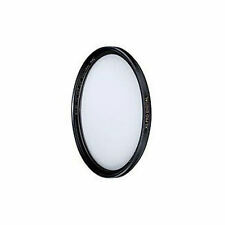 Try the B W 30.5mm XS-Pro Clear MRC-Nano 007 Filter which is constructed from Schott Glass for clear and crisp images. The glass is multi coated which provide over 99.8% light transmission while prevent the internal ghosting and reflections. B W 122mm Clear MRC 007M Filter. 122mm Front Filter Threads. MRC Multi-Resistant Coating. Clear Protective Filter. Thin Brass Filter Ring. Filter Type: Clear. 1x Filter Factor, No Exposure Change. Filter Factor: 1 ( 0 Stop). Circular Size 49mm. Filter Effects Clear. Shape Circular. Country//Region of Manufacture Germany. Filter Effects Clear. MPN Does Not Apply. UPC Does not apply. Circular Size 67mm. Shape Circular. Filter Effects Clear. Country//Region of Manufacture Germany.